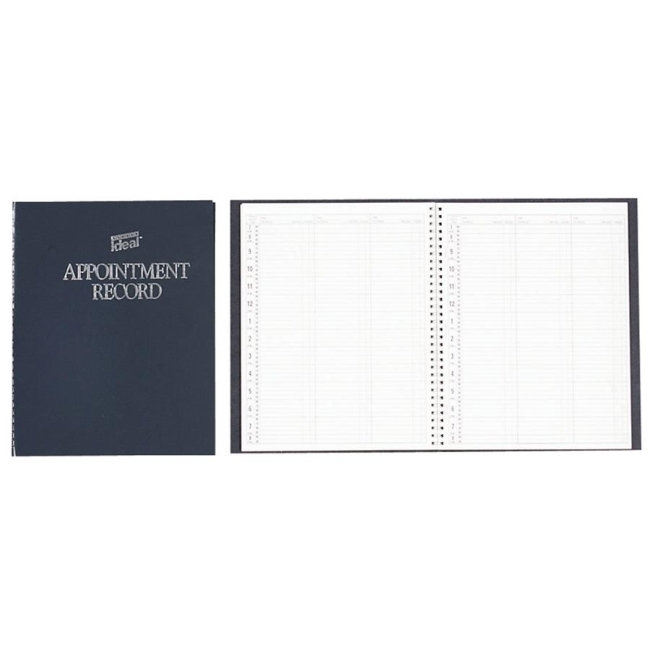 Dome 40977 Undated Spiral Appointment Book - Gray 8.50" x 11"
Undated appointment book displays two-page-per-week spreads with three ruled daily columns in vertical format. Each page has three daily entries with appointment times from 7 AM to 9 PM listed vertically. Each daily entry features half-hourly appointment times from 7 AM to 9 AM and from 8 PM to 9 PM; quarter-hourly appointment times from 9 AM to 8 PM, space for visitors' names, services and charges. Planning pages range 12 months from January to December. 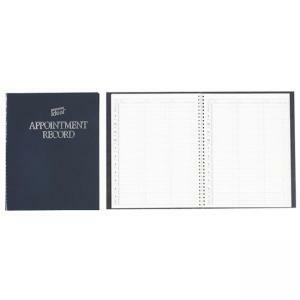 Spiralbound appointment book has a vinyl cover and contains 120 pages. Nonrefillable.